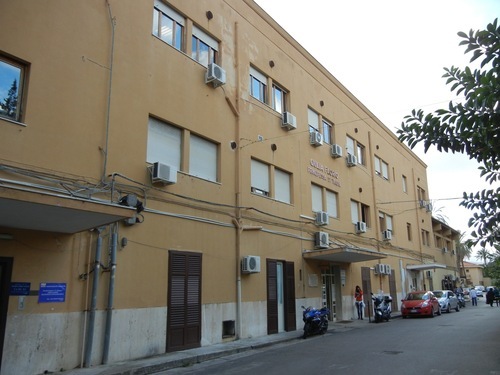 The Ospizio Marino is a hospital located in Palermo (Via Papa Sergio I, 5) which was built in 1873 by the Italian physician and surgeon Enrico Albanese and opened in 1874. This architectonic structure is particularly important because people who were responsible for the project adopted specific hygienic measures. 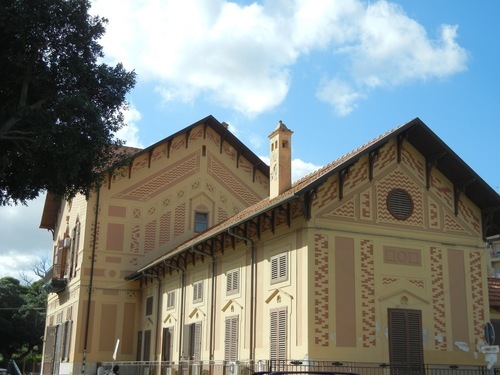 In fact, this hospital, unlike the traditional closed structure of hospitals of ancient times, was designed in big and bright pavilions that would have diminished the risk of infections. 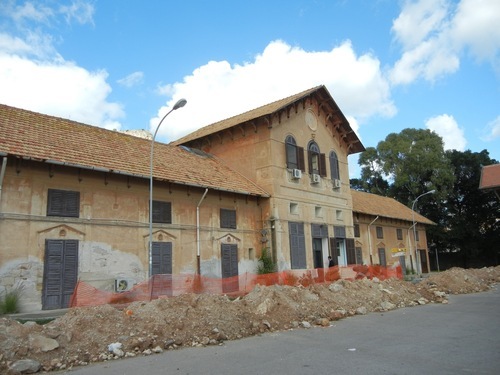 The Ospizio Marino was a modest and half-crumbled building, situated in the district Arenella. 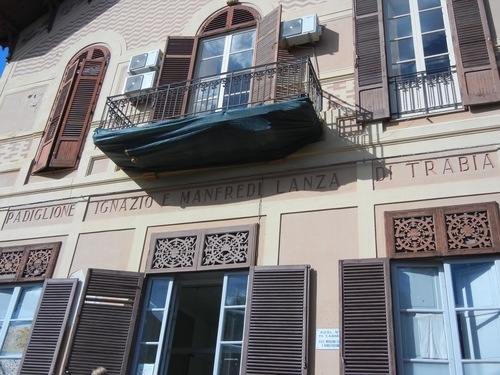 At the beginning it was owned by the State, then thanks to the General G.Medici it was entrusted to Enrico Albanese and the committee that he presided, because they wanted to found a hospital building that would accommodate children in need of medical care. 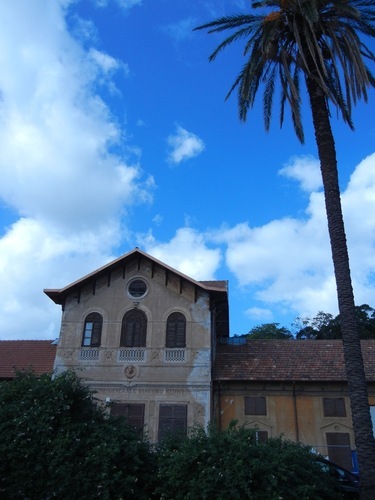 The first patients of scrofula in Palermo were treated here. 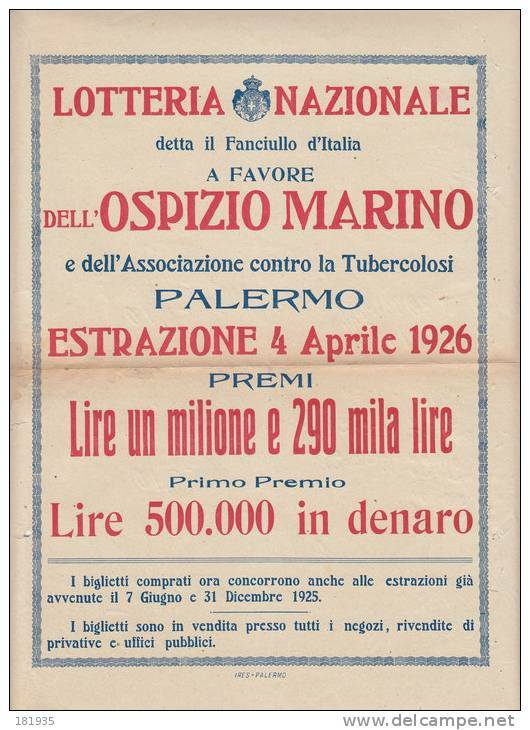 After the first difficulties in the acquisition of the building, the project of Ospizio Marino expanded rapidly in a few years. 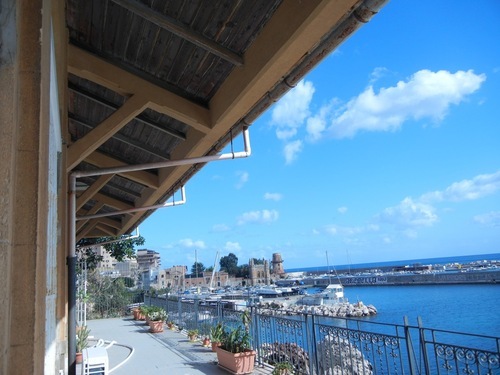 The first new pavilion of Ospizio Marino was built in 1879 and bears the name of the princess of Butera, Eleonora Spinelli. At the beginning there was not enough money to continue the project, but thanks to the generosity of a lot of people and also to numerous charity fairs, this new pavilion was at last completed. 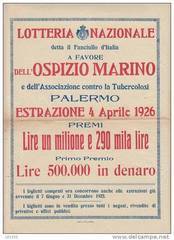 Over the years many charity raffles were organized for the maintenance of the hospital. 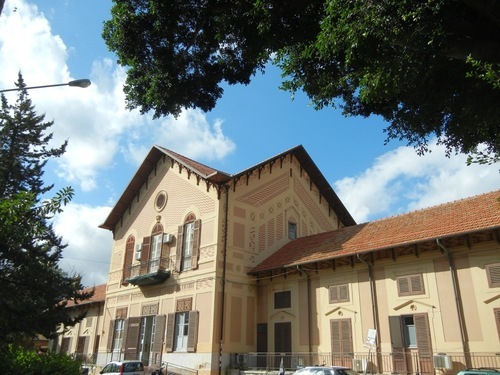 The committee wanted to turn this Institution into a children's hospital, including a Froëbellian school and a gymnastic school, because it was necessary not only to treat children but also to give them adequate education and teach them good manners. 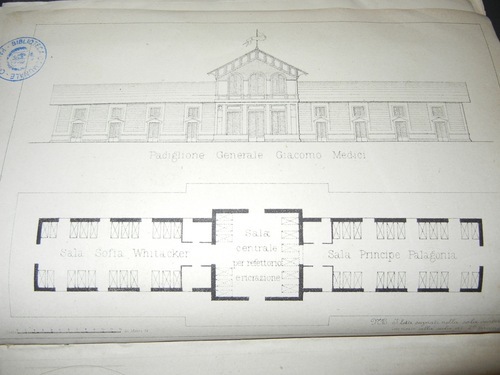 However, as it would have required a lot of time, work and above all a huge amount of money, the committee was content with a modest hospital with few beds but equipped with the essentials for orthopaedic care. 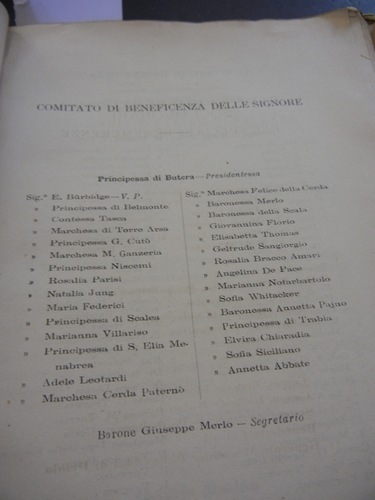 After the construction of the Ospizio Marino, Giuseppe Garibaldi gave a portrait to the committee, in which there was an inscription dated from Caprera (Sardinia) on 20th May 1882, immediately before his death: “ All’Egregio Comitato dell’ Ospizio Marino di Palermo interprete dei sentimenti di gratitudine e dell’Italia per l’umanitario Istituto. G.Garibaldi”. 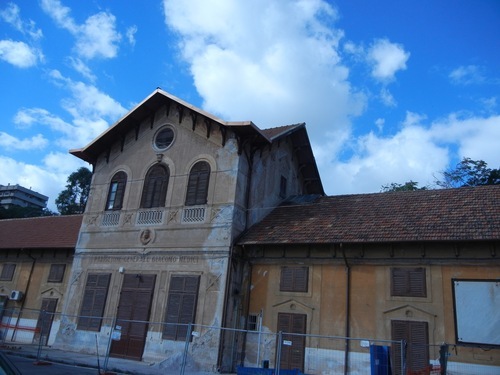 The foundation stone of the second pavilion, named after the well-known Giacomo Medici, was laid on 9th January 1883. Under this stone was placed a silver medal on which was engraved the following words: "Ospizio Marino di Palermo 1883". By that date the Hospital already had modern machinery for Hydrotherapy, Orthopaedics and Electrotherapy, as well as gymnastic equipment. 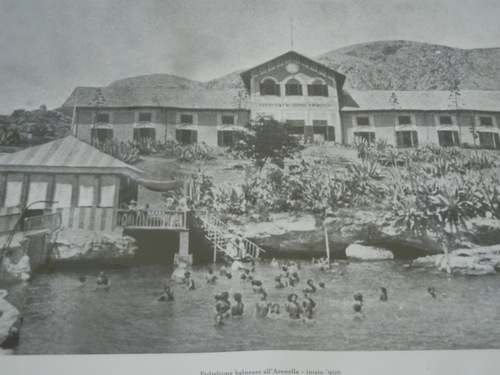 In addition a Froëbellian school had also been set up. 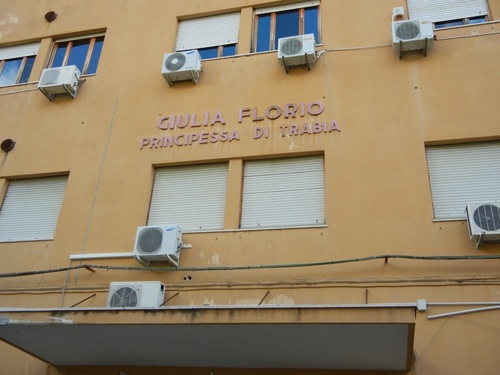 With few resources, but with a lot of determination, in only eight years the little Hospital building was turned into a real Hospital for children. To enable individuals suffering from scrofula and similar diseases to use of the sea for bathing while residing at the seaside. To accommodate and treat stunted and crippled children, and also children affected by incurable diseases, for whom it was essential to reside by the sea. PAVILION of the SANITARY DIRECTION. 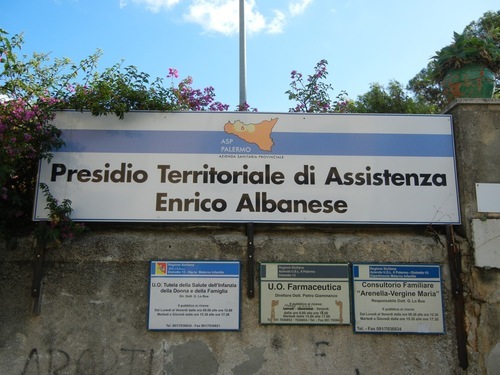 The current hospital structure is a PTA (Presidio Territoriale di Assistenza), a territorial healtcare facility, which is named after “Enrico Albanese”, in honour of this important orthopaedic surgeon who committed himself to the foundation of this Hospital.